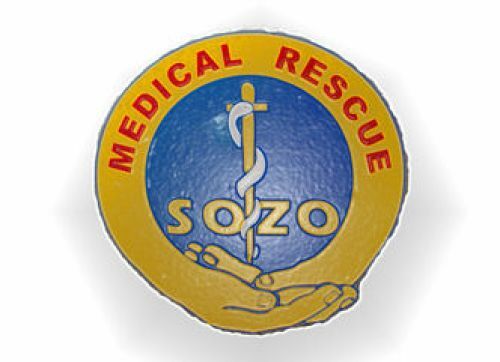 Sozo Medical Rescue and Training is a company which has been formed to meet the Emergency Medical response and First Aid training requirements of the Montagu community. We are a small community that is not always able to access qualified emergency care when it is needed. 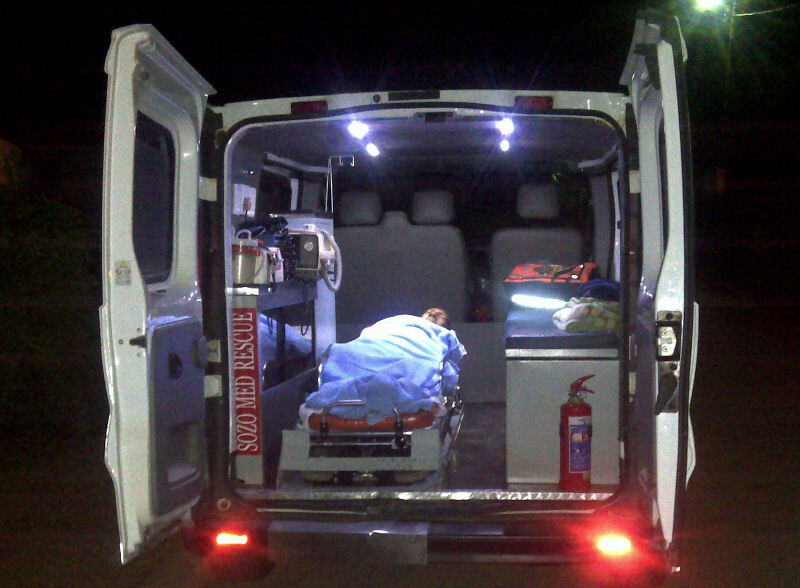 The rationale behind the company is to provide Rapid Emergency Medical response, assessment and treatment of any medical emergency that could arise. Whilst we can not at this stage offer transport to the healthcare facilities, the addition of an ambulance for this purpose is already in the planning. The service is offered on a subscription basis to the community of Montagu and Ashton and the surrounding farms, businesses and factories. Due to the nature of emergency response, we do not guarantee response times but an average time from callout to arrival of the unit should not exceed 10 minutes. We will offer the service within a 20 minute radius of Montagu itself. This limitation is necessary to allow us to achieve a realistic response and treatment outcome. 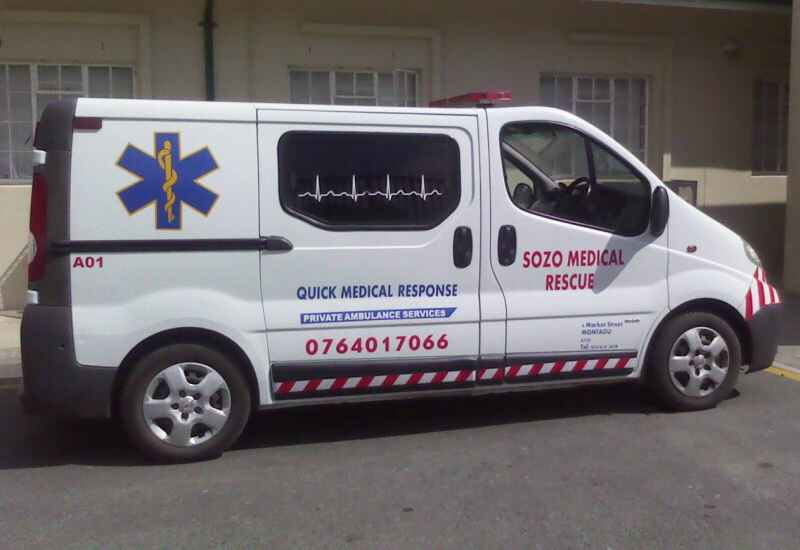 The service covers any medical emergency experienced by a member. Members of a signed up household will be covered anywhere within the 20 minute radius stipulation. Sozo has a fully intermediate life support ambulance. The member's monthly fee will include response but exclude any medical supplies utilised. Hotels or B&B's, factories and farms will be covered up to the number of persons stipulated below. Individual packages can be tailored for higher or seasonal number increases. See following table: Click here to see the table. The List of equipment carried by the Rescue Vehicle is extensive but includes a Cardiac Defibrillator, Oxygen Resuscitator, Oxygen monitoring equipment, Intermediate Life Support and Burns gear, Splints, Trauma Board and Head blocks - to mention but a few. 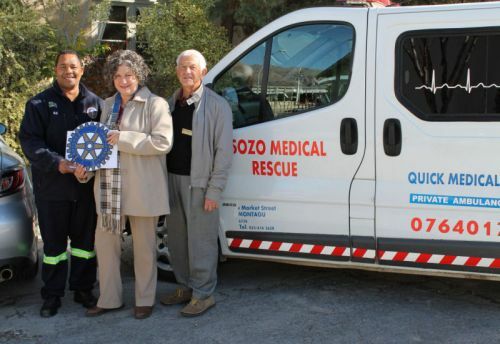 Sozo is also in a position to offer DOL (Department of Labour) and Hwseta approved levels 1-3 First Aid and Resuscitation Council of South Africa approved CPR training, as well as advice on First Aid requirements for homes, shops, factories, farms and schools. Our services include but are not limited to, assisting with auditing of existing facilities, stocking or supply of First Aid boxes and related safety equipment and signage. Prices for training are calculated on an individual basis, taking into account the level of training requested, as well as the cost of the course materials. We will be pleased to offer competitive quotations on request. *	Please contact us to arrange a visit or quotation. We look forward to being of service to you!